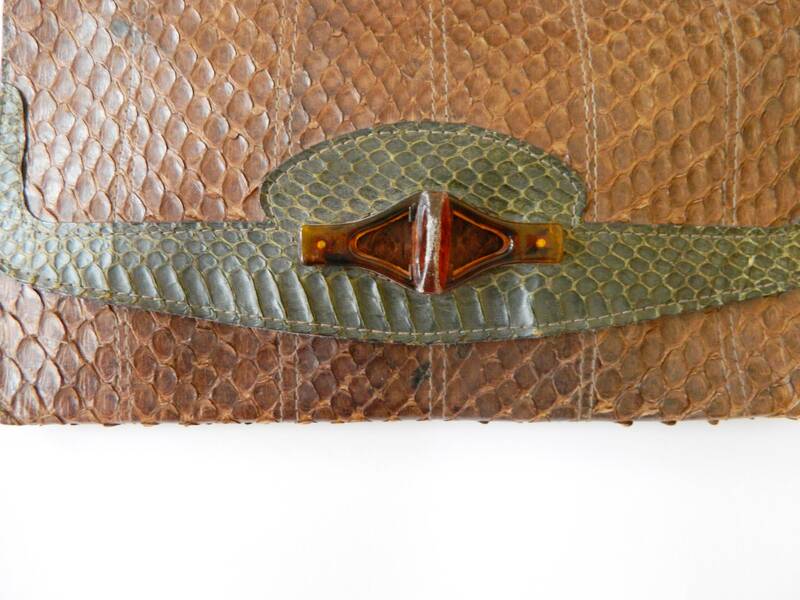 Handbag made of brown and green leather (snake?). It has a cap made of brown plastic. 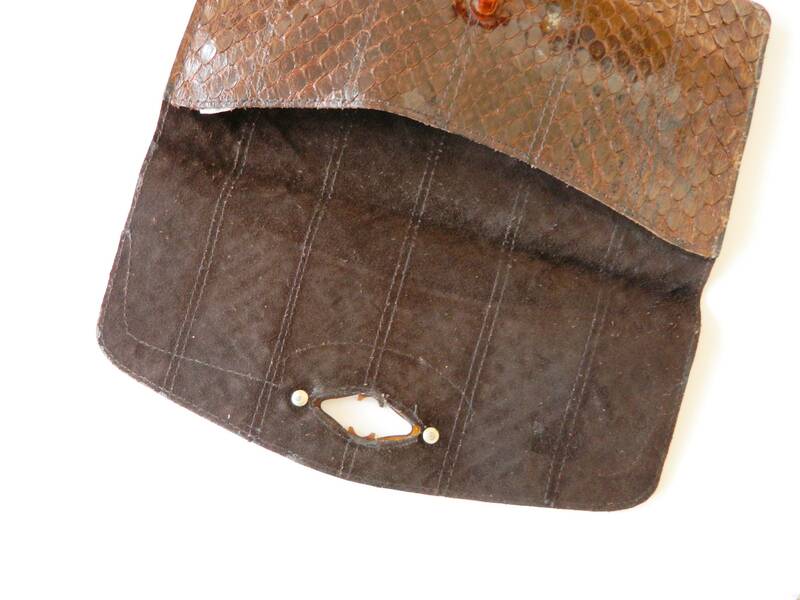 Inside it is made of suede. Good vintage condition. Scratches on the clasp. 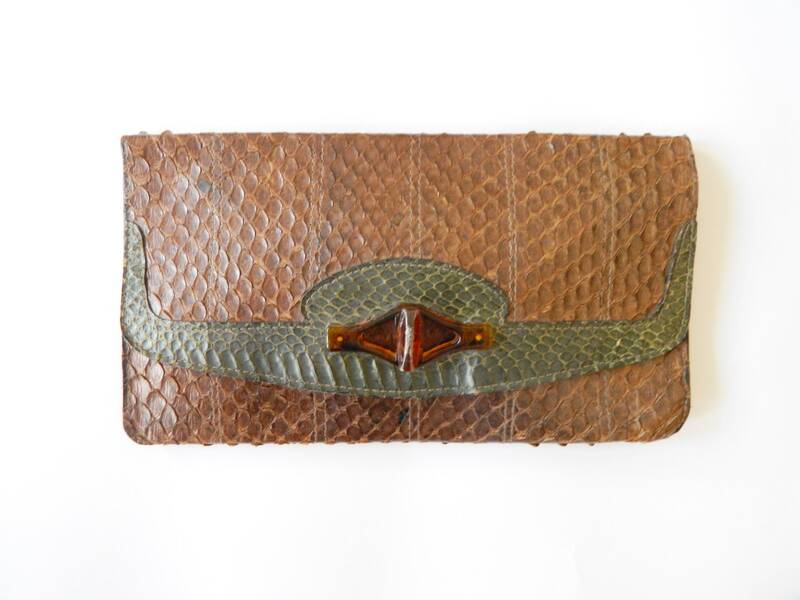 Handbag from brown and green leather (snake?). She has a faster of brown plastic. Inside she exists of suede. Good vintage condition. Scratch on the faster. 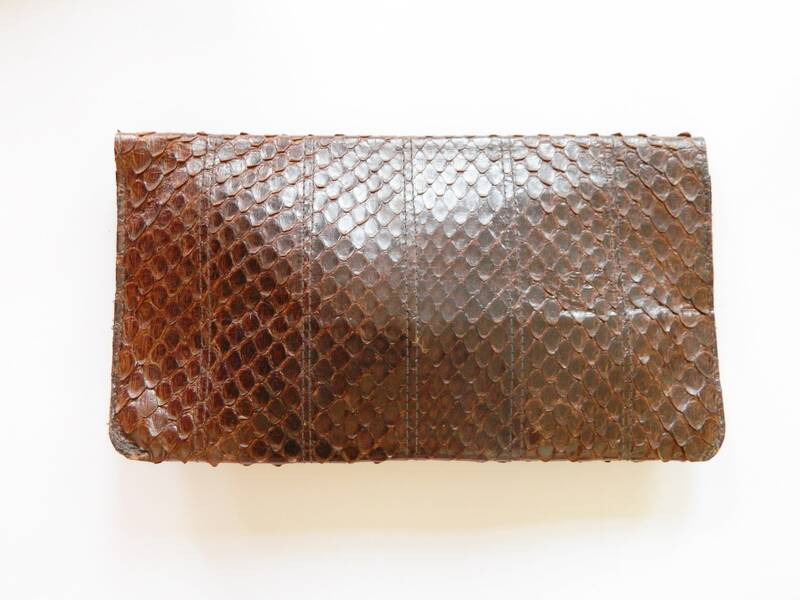 -High 16 cm, 6 "
-wide 29.5 cm, 12 "